Diphenylamine (DPA) is a post-harvest fungicide most often utilized against the storage scald of apples. Also known as superficial scald or common scald, storage scald is the diffuse browning of apple skins that usually happens after storage. Diphenylamine itself usually appears as a pleasant-smelling, crystalline solid that can be tan, brown, amber, or colorless. Though American apple growers have argued that diphenylamine is a benign “growth regulator” and antioxidant, the European Commission banned the use of diphenylamine in apples and other fruits in 2012 because of the various health complications linked to diphenylamine exposure. Additionally, diphenylamine is a dermal, ocular, and respiratory irritant. Contact or exposure to this chemical may result in an individual feeling irritation in their eyes, skin, or mucous membrane. Diphenylamine is considered a possible reproductive hazard. This is due to the large number of reports of gynecological disorders associated with diphenylamine exposure, one of which is the increased frequency of spontaneous abortions. Furthermore, there have been occurrences of fetal poisoning and high levels of methemoglobin among infants. Animal tests have shown that diphenylamine can bring about fetal kidney changes as well. Diphenylamine is a combustible solid, and can become explosive upon exposure to a source of ignition, namely open flames and sparks. This chemical should never be used near water sources as it is highly toxic to both fish and aquatic invertebrates. Diphenylamine has the potential to be a blood, kidney, liver, or bladder toxicant. Moreover, diphenylamine can cause harm to the spleen, skin, digestive, cardiovascular, and central nervous system. Prolonged and/or repeated exposure to diphenylamine can bring about organ damage. Apples are at high risk of being contaminated with diphenylamine, particularly those grown in the United States. Diphenylamine has been found to penetrate apple pulps over time, making these fruits more dangerous the longer they’ve been in storage. One way to avoid diphenylamine is to purchase apples from farmers’ markets instead of from supermarkets or groceries. These are the least likely to have been sprayed with diphenylamine during storage. Organic apple products, such as apple juice and applesauce, are also preferable. Those who play a role in the handling and storage of diphenylamine should take extra precautions around this material. Suitable protective clothing should be worn at all times, and respiratory equipment should be included in the event of insufficient ventilation at the work site. Eye wash fountains should be provided at the work site as well. Avoid drinking, eating, and food in the areas where diphenylamine is stored, processed, and handled. Keep diphenylamine away from ignition and heat, and from oxidizing agents such as hexachloromelamine and tricholormelamine. Should spillage occur, avoid dry sweeping diphenylamine as this can cause dust particles to spread. Utilize the wet method or a specialized vacuum instead during cleanup. Diphenylamine is a fungicide that can bring about all kinds of health problems on inhalation, ingestion, or direct contact. Repeated or prolonged exposure and contact has been found to lead to eczema, hypertension, and bladder injuries, among others. Irritation to the skin, eyes, and mucous membrane can occur too. Pregnant women should avoid diphenylamine. 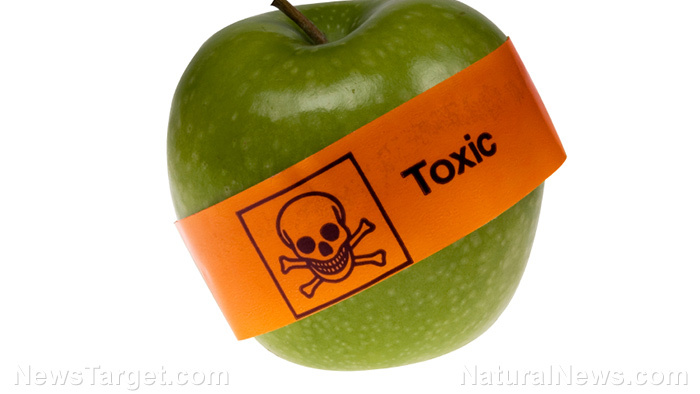 This chemical is a potential reproductive hazard that can induce spontaneous abortions and cause kidney and blood problems in unborn children.